I got this on eBay recently and was dubious of the buy but got it cheap enough. It has a stem with the letters BC in a plastic / lexan insert in it. 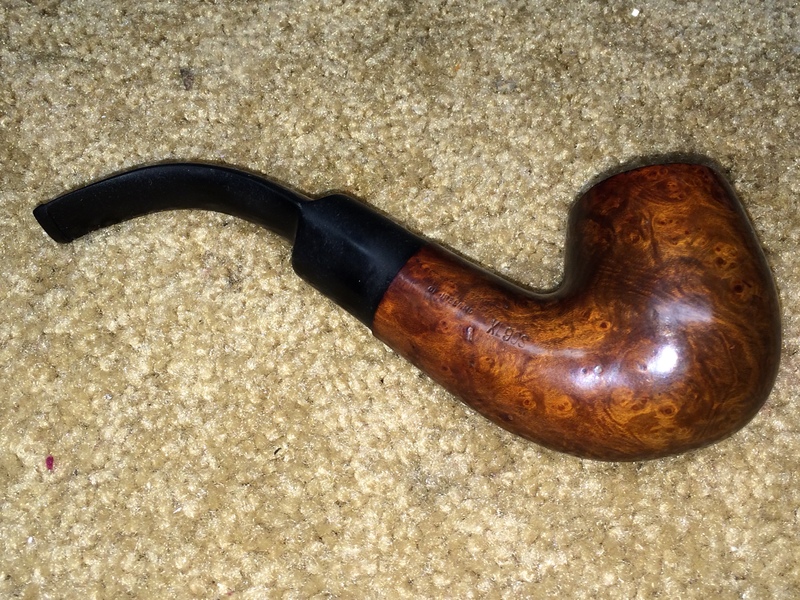 In looking up the BC it resembles the Butz – Choquin style. The fit is good and it has a 9mm filter inside. 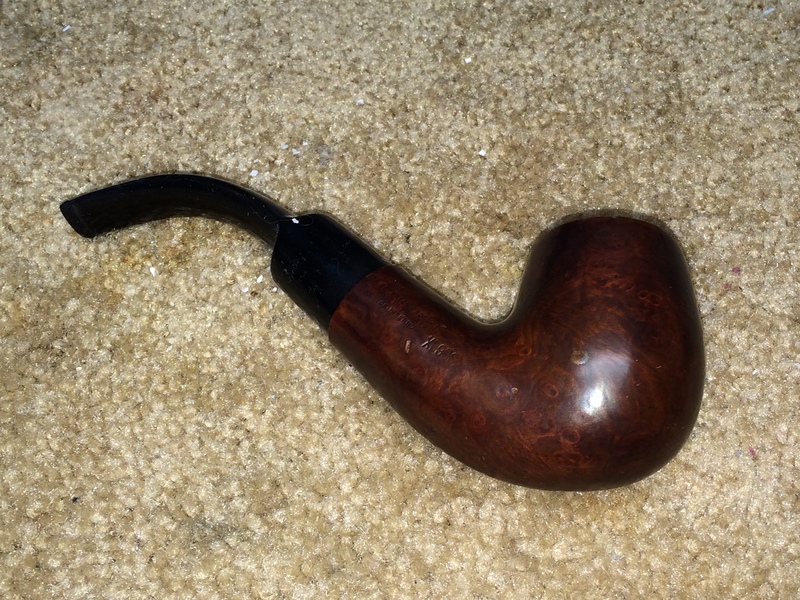 The nomenclature on the pipe is in good shape and says Peterson XL90s on the right and Shamrock filter on the left. 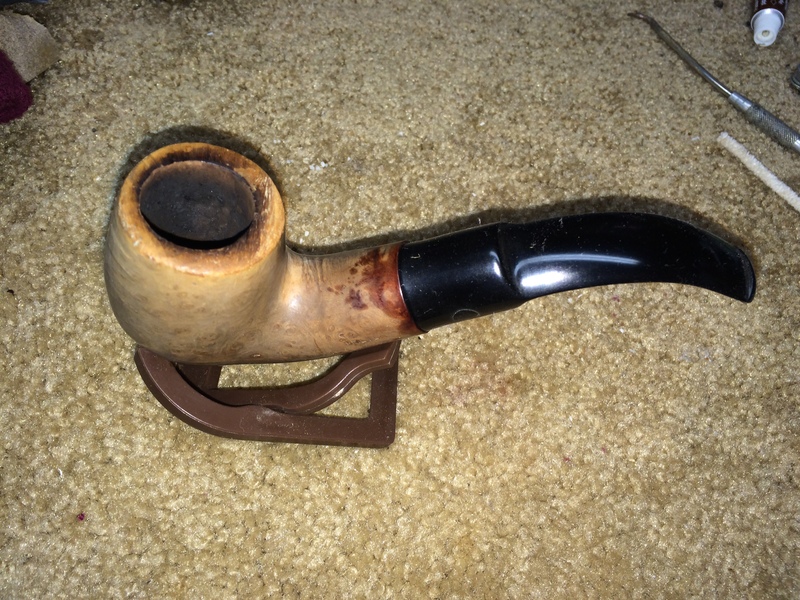 The stem had a very rough texture to it, like it had been sand blasted. It wasn’t scratched as in sanding, just raised material that was very dull in color. The reason for the first comment was that a prior owner had left knife marks in the cake. 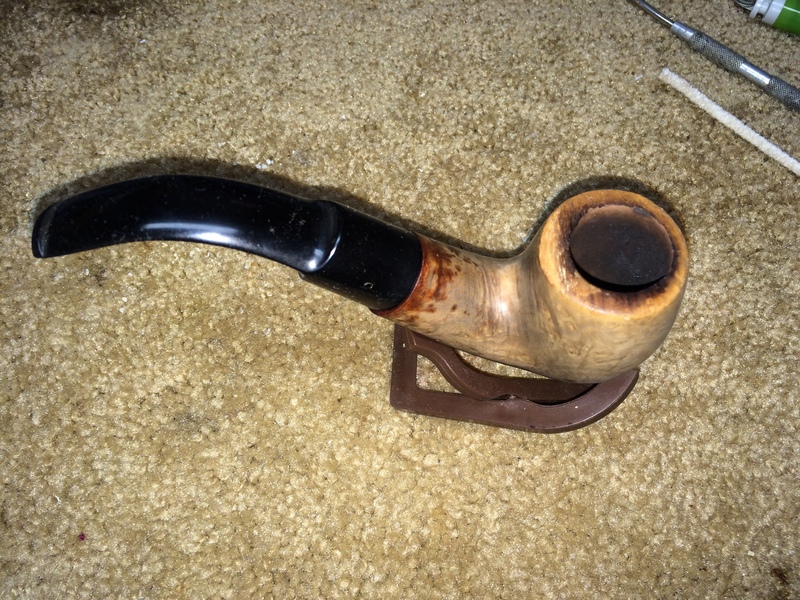 A reamer was a foreign tool to the pipe. The front of the bowl is now thinner than the rest and showed sign as if it had been burned / charred like a hot spot would leave behind. Once I reamed it I verified it was scorched. There is also a small gouge in the front of the bowl as well from the knife. It seems that the knife assassin would only clean the cake from the front half of the bowl causing the damage. Using the Castleford reamer I began with the third largest size and then the largest to clean the balance of the cake out. The front wall of the bowl has a dime size scorch mark that does not seem to extend too deep. So I am going to leave it alone at this time. While I was reaming and cleaning the bowl I put the stem into a Oxyclean bath to clean it. In the shank of the bowl the tar was very thick so I gave the entire bowl a bath in alcohol overnight to loosen it up. 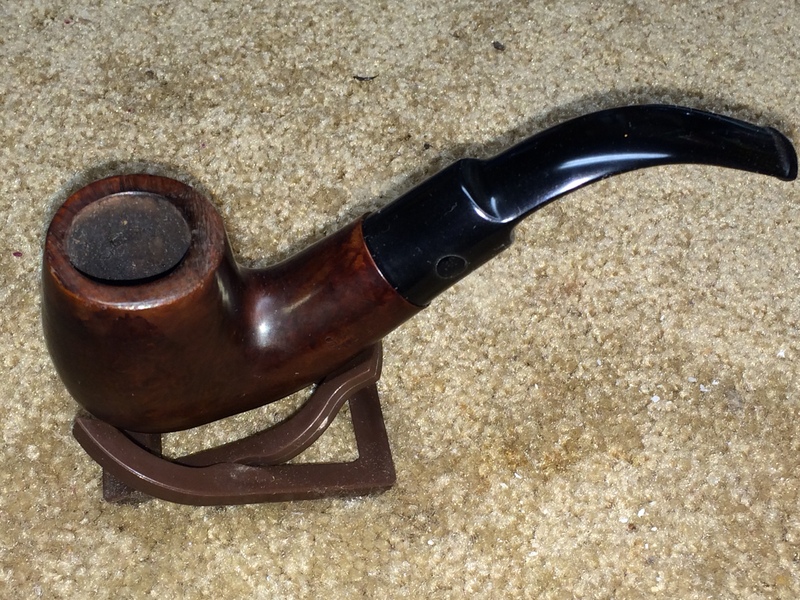 This helped clear the tar out nicely but left the bowl bleached almost white. 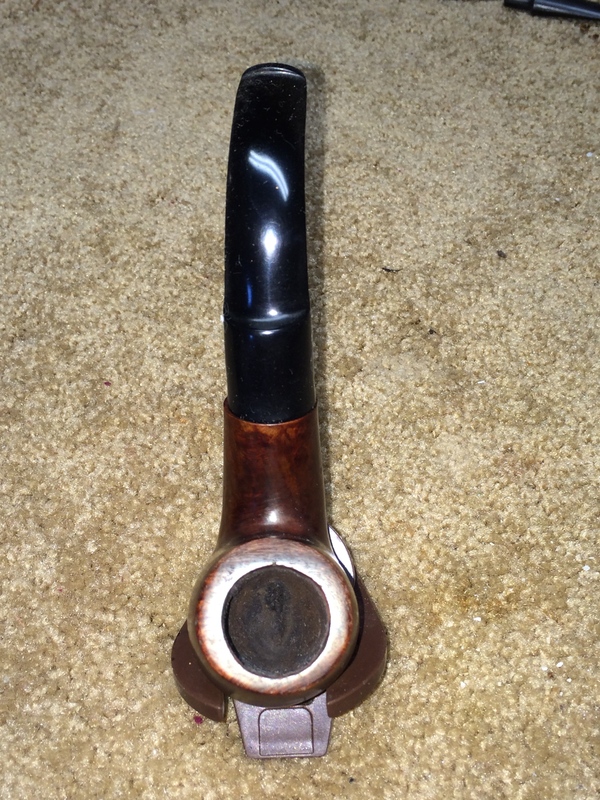 The stem was sanded with sponges of progressive grits from 1200 to 12000. It brought up the shine nicely. In the top picture you can see the char mark in the bowl. I decided to top the bowl to minimize the back side gouge which looked as if someone used a file on it causing a drop in the rim. Using a hard flat table top and some 120 grit sandpaper I took off a good bit of material and took a small scrap of used sandpaper to chamfer the inside edge. Afterwards I used the entire range of sanding sponges once again to go over the bowl prior to staining it. The back side of the rim was severely angled and I was not able to get the full cut out without taking the bowl depth down too much. At first I was going to use a base of dark brown and lighten that up and go over it with ox blood. 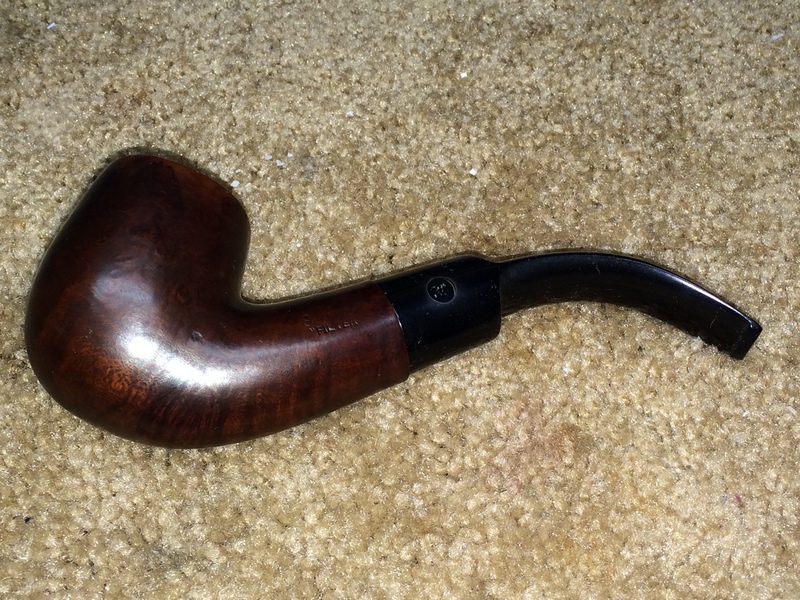 But, once I covered it with the brown and flamed it, the color was too rich to alter. 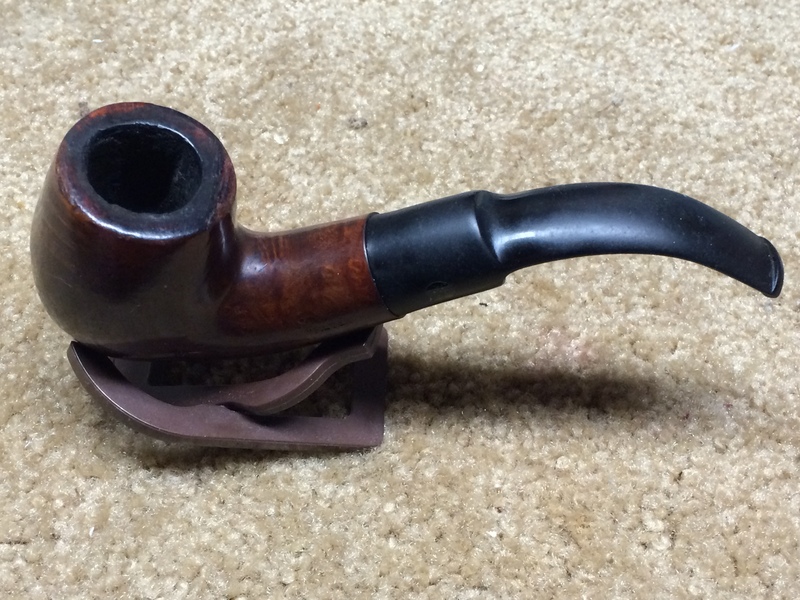 It came out like old leather which is a weakness for me, so it was left alone. 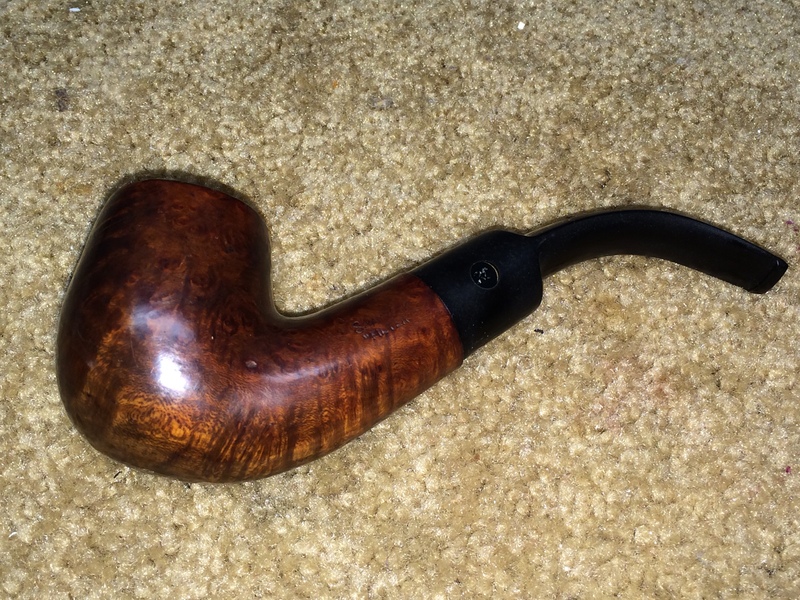 At some point I will get the correct stem for it with the Peterson logo, but, for now it should function just fine. 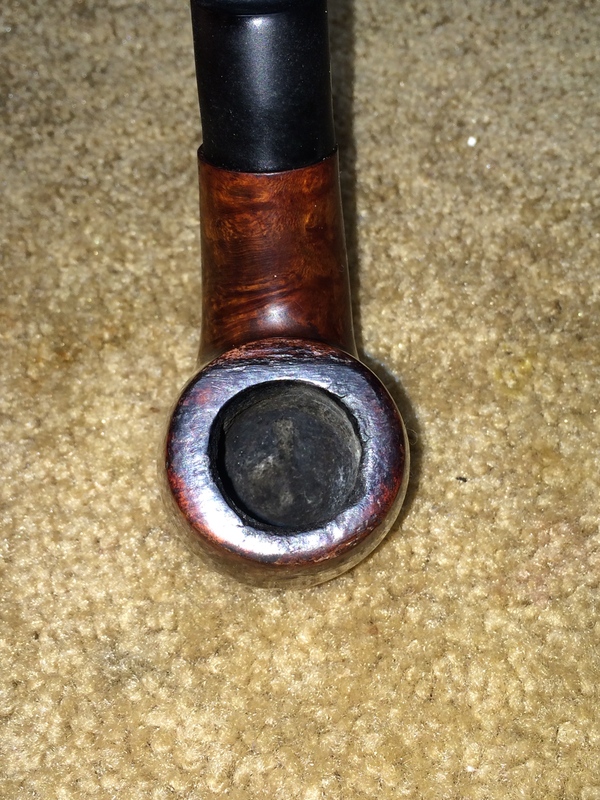 A final request to all pipe smokers… If you need to clean a pipe and don’t have a reamer, PLEASE find a fellow piper that can help you save your pipe for many more years of good service!